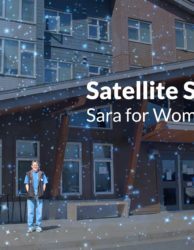 This Satellite is hosted at the 41 unit transitional housing facility for women and their children. Christine Lamb supports people at risk of homelessness, violence, or abuse and in need of a supportive place to live in Abbotsford. 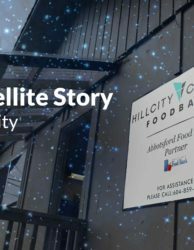 We partnered with Christine Lamb Residence in 2014 to start an onsite Food Bank Satellite. 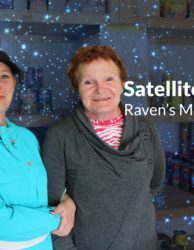 Since it has opened, Andrea Mayer, or “Handy Andy” as she’s warmly called by the residents, has been the volunteer coordinator of the Satellite. 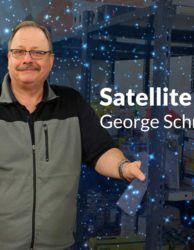 Since becoming a Satellite, residents no longer have to drive across town to receive food. That’s a savings of 20-30 rides for families each month. Handy Andi is ready to serve residents at Christine Lamb. Guests are able to “shop” and pick the food they will use rather than receive a pre-made hamper. 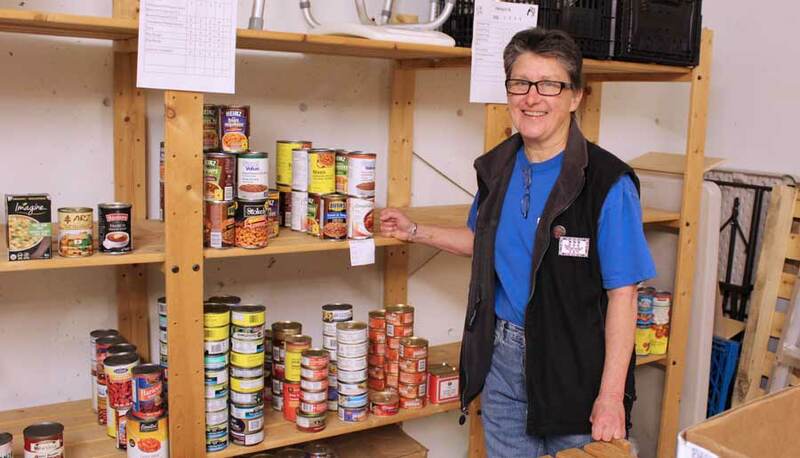 This is a preferred model that the Abbotsford Food Bank would love to adopt but currently unable to accommodate due to the size of our facility. By partnering with Christine Lamb Residence, we are able to see how the “shop” model can benefit our guests and reduce wasted stock. Andrea reports that she has been able to get to know the women and is able to find out what they like and need. She remembers these needs when she unloads deliveries and stocks the shelves. She directs people to the food they were in need of and sets unique things aside for residents. For example, one mom was from Mexico and loved sardines. Sardines are not popular amongst the Satellite guests. So when Andrea saw the mom in the halls of Christine Lamb she was happy to tell her there were sardines waiting for her at the Satellite! The women like knowing Andrea is looking out for their “likes” as well as needs. These little details build upon the relationship and help each woman on their road to success. Thank you, Christine Lamb, for the amazing work you do in our community!